What many conservationists expected is now confirmed: killing wolves does not effectively reduce livestock depredation. On the contrary, various methods in which people killed wolves, resulted in increase or no change in number of livestock depredation. Using non-leathal protective measures to improve herd protection, luckily did show reducing numbers of livestock depredation. 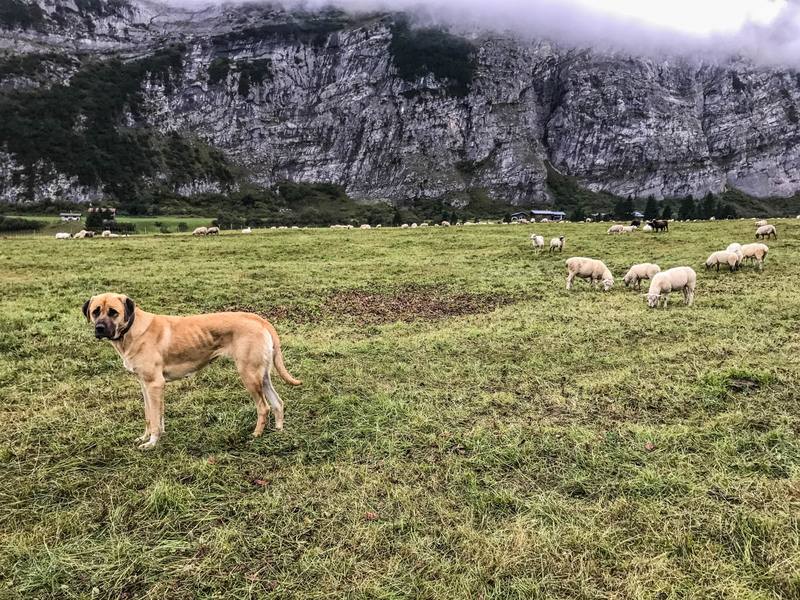 There are currently many different ways to protect livestock from livestock depredation, ranging from lethal (e.g., culling, trapping, poisoning) to non-lethal (e.g., fences, guard dogs, night enclosures). However, livestock owners or local authorities use most of these methods without any proof of effectiveness. A recent study managed to compare the effect of a variety of methods to reduce livestock depredation. Their findings were clear, killing predators like wolves does not help. The study focussed on conflicts with wolves, lynxes, bears and coyotes in Europe and America. In both continents, these animals often play the role of top predator within their ecosystem. Predators prevent excessive herbivory and support increased species biodiversity. Killing top predators, like wolves, largely influences nature’s balance, and has led to less healthy ecosystems. In some cases, killing of the top predator lead to smaller predator species take its place, continuing to depredate on livestock. In other cases the social dynamics of groups like wolf-packs changed the population distribution, effecting more neighbouring livestock owners. Coyotes even started to produce more offspring when hunted down, resulting in higher population growth and increased pressure on food sources like livestock. Killing bears did not show decrease in livestock depredation. Instead, availability of other food sources reduced sheep loss. In Slovenia 25% of the wolf population (51 individuals) were killed annually for 11 years, but no effect on livestock losses was found. In some cases, where a complete wolf-pack was killed or a lynx was poached, loss of sheep was reduced only minimal and for a short term. Other wolf-packs soon took over the territory and since the lynx’ territory is large calculated benefit for sheep owners was less than 1 lamb saved per killed lynx. Some non-lethal ways did not affect the losses, like distracting the carnivores with other carcasses. But more commonly used ways proved to be effective in reducing depredation numbers. These methods include fladry, electric fences, guard dogs and night enclosures. Since the coyote’s relative, the golden jackal, is on the rise in Europe, livestock owners should consider a combination of measures for the best livestock protection. In France, electric fences, guard dogs and night enclosures proved their effectiveness in a long-term study. Depending on the herd size, a combination of at least 5 guard dogs and night enclosures would prevent almost all wolf depredation. These methods proved in 80% of the cases to be effective, compared to only 29% with killing predators. The conclusion is clear, stating that farmers, managers, policy makers and courts have to consider effectiveness of intervention methods before implementing. They need a common strategy and consider public acceptance and ecological consequences as well. Non-lethal protection measures outperformed killing of predators in reducing livestock losses. Killing methods often face legal difficulties as Habitat Directives protect species like the wolf and lynx. The Directive only allows killing in case of “absence of a satisfactory alternative”. And those satisfactory alternatives are now scientifically proven.